If you’re among the more than 37 million Americans who have trouble hearing, hear this—there are ways to trim the high prices of hearing aids. For people with mild hearing loss, there are some alternatives to seeing the traditional hearing health-care provider—where the average price of a single hearing aid is about $2,500. Personal sound-amplification products (PSAPs) are comparable to hearing aids but much less expensive—often just a few hundred dollars. They are available online and over the counter, with no requirement that you see a state-licensed audiologist or hearing-aid specialist. Downsides: PSAPs are not custom-fitted to the wearer’s ear and provide limited amplification when compared with traditional hearing aids. PSAPs typically have limited fine-tuning ­capabilities, with most offering only a volume control or bass and treble adjustments. And most worryingly, some PSAPs actually can damage your hearing by overamplifying sound and boosting loud noises such as fire alarms and gunshots, which traditional hearing aids suppress. There also are apps that can transform a smartphone and its connected earbuds or headphones into a PSAP-like device. They’re free, so it doesn’t hurt to give them a try, but they are best used by those with only mild hearing loss. These apps are more common and typically more effective with Apple ­devices than with Android devices because the audio hardware is standardized across iPhones. Best apps: EarMachine (Free for iOS)…Petralex Hearing Aid (basic functions are free for iOS and Android). If your main hearing complaint is that you can’t understand what they’re saying on television—or your spouse says that you turn the TV volume up too high—a set of wireless headphones could be a cost-effective solution. Examples: Sennheiser RS120 ($99.95), En-us.Sennheiser.com…Sony Wireless RF Headphones ($78), Sony.com. If you don’t want to wear headphones when you watch TV, a soundbar that can emphasize dialogue while de-emphasizing background sound on TV programs could help. Example: ZVOX SB380 Sound Bar with AccuVoice Dialogue Boost. ZVOX.com. Cost: $349.99. Connect Hearing, a hearing-aid retailer with more than 180 locations nationwide, offers the very capable NovaSense Elite behind-the-ear hearing aid for just $499 apiece (that’s $998 for a pair), including fittings and exams. It’s made by a division of Sonova, a leading hearing-aid manufacturer. If you don’t have a Costco or Connect Hearing near you—or don’t like the hearing aids they offer—you can buy effective lower-technology hearing aids from a licensed practitioner who unbundles its services, sometimes for as little as $500 per ear. To find discounted hearing-aid offers from ­nearby providers, check out my website, HearingTracker.com. Consider an entry-level hearing aid made by one of the “big six” manufacturers—GN ReSound (which sells hearing aids mainly under the brand Resound)…Sivantos (sold under brand names including Signia and Rexton)…Sonova (brands include Phonak and Unitron)…Starkey…Widex…and Demant (brands include Oticon and Bernafon). A recent survey of audiologists found that Oticon and Phonak offer particularly good quality for the price. These entry-level products typically offer all of the core features to ensure that you benefit and succeed with your hearing aids, but manufacturers typically reserve the most cutting-edge ­features for their flagship models. Only one of every four health insurance policies includes some hearing-aid coverage, so check with your insurer to see if you are covered. Insurance also may cover screenings and tests, but it depends on your plan. Three states—Arkansas, New Hampshire and Rhode Island—require that health insurance policies include ­hearing-aid coverage. Medicare and Medigap plans do not cover hearing aids, though a small percentage of Medicare Advantage plans do, at least in part. Veterans’ benefits. If you are a veteran and your hearing loss is related to your military service, the Department of Veterans Affairs (VA) might cover the cost of your hearing aids and replacement batteries. Contact the VA for details (844-698-2311) or go to www.Prosthetics.va.gov. Medicaid offers full or partial coverage of hearing aids in many states for qualifying low-income individuals. Some states have additional programs that can help those with low incomes afford hearing aids, too. Visit the website of the Hearing Loss ­Association of America at HearingLoss.org and select “Financial Assistance” from the “Hearing Help” menu to find state agencies that offer such programs. 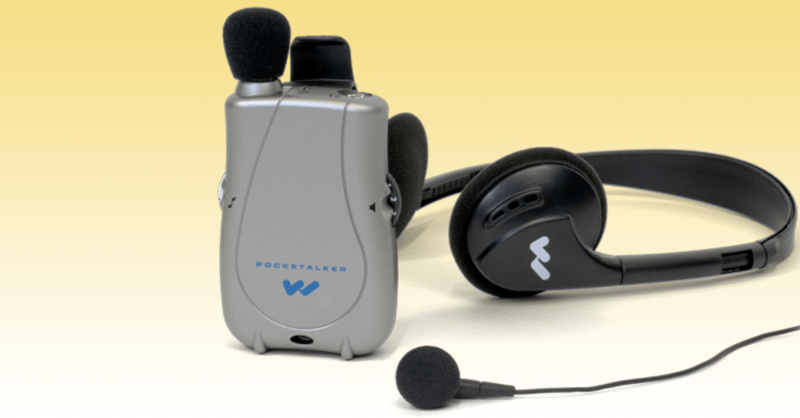 While sound-amplification products have been available online and over the counter for many years, there has been no such equal access to traditional hearing aids. That’s about to change. In October 2018, the Food and Drug Administration gave audio-equipment maker Bose the green light to begin marketing a “self-fitting” hearing aid intended for people who have mild-to-moderate hearing loss. It’s the first FDA-authorized hearing aid designed to be fit, programmed and controlled by the user without the assistance—or expense—of a hearing health-care provider. Bose has not yet announced how much this new hearing aid will cost (though some sites speculate less than $1,000 for a pair). Within a few years, there likely will be many hearing aids designed to be sold without the help of an audiologist. The FDA is in the process of creating an “over the counter” hearing-aid classification, with draft regulations due no later than August 2020. Why Aren’t My Husband’s Hearing Aids Helping Him Hear Better?